Great work is work that makes a difference in people’s lives, writes David Sturt, Executive Vice President of the O.C. Tanner Institute, in his book Great Work: How to Make a Difference People Love. Sturt insists, however, that great work is not just for surgeons or special-needs educators or the founders of organizations trying to eradicate poverty in sub-Saharan Africa. 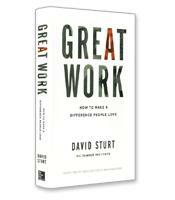 The central theme of Great Work, according to Sturt, is that anyone can make a difference in any job. It’s not the nature of the job but what you do with the job that counts. As proof, Sturt tells the story of a remarkable hospital janitor named Moses. How do people like Moses do great work when so many people just work? That was the central question posed by Sturt and his team at the O.C. Tanner Institute, a consulting company specialized in employee recognition and rewards systems. O.C. Tanner launched an exhaustive Great Work study that included surveys to 200 senior executives, a further set of surveys to 1000 managers and employees working on projects, an in-depth qualitative study of 1.7 million accounts of award-winning work (in the form of nominations for awards from corporations around the world), and one-on-one interviews with 200 difference makers. 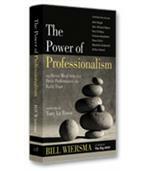 The results of the study revealed that those who do great work refuse to be defeated by the constraints of their jobs and are especially able to reframe their jobs: they don’t view their jobs as a list of tasks and responsibilities but see their jobs as opportunities to make a difference. No matter, as Moses so ably exemplifies, what that job may be. The study also pinpointed the five skills that all those who do great work seem to possess, and much of Great Work is spent exploring these skills. The first skill is to ask the right question. Cell phones are ubiquitous today, but they were invented because someone asked a question that had never been asked before: Why do we have to call a place instead of a person? The second skill is to see for yourself. One of the cofounders of Netflix resolved the core problem of the nascent company — how to avoid damage to DVDs as they are being mailed — by spending hours in a mail sorting facility and noticing the relative gentleness of the larger “flat mail” automatic sorter. The third skill is to talk to your outer circle — which means to go beyond the usual core group of people you speak with frequently. In today’s digital age, the outer circle is almost infinite, as the success of crowd-sourcing proves. The fourth skill is improving the mix, which means knowing what to add or subtract from your job and also “checking for fit”: ensuring that the elements of the mix are in harmony. 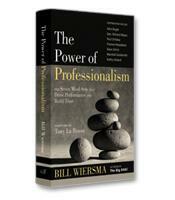 The final skill is delivering the difference: to continue working almost obsessively until people love the outcome. Sturt tells the story of school yearbook photographer Tina, who accepts the challenge of photographing autistic children, trying hard to create the best picture she can of children who often cannot focus on the camera or even stop themselves from drooling. One mother told Tina her picture was the first picture of her son in which he looked as she saw him. Great Work is packed with inspirational stories of people in a wide range of jobs and circumstances. Readers will inevitably return to their jobs with a new attitude and renewed hope to make a difference.